Meet HoneyDru - a high-powered 2A car charger for all phones, tablets and USB powered devices. HoneyDru is based on the Android Honeycomb logo with a 12V input and a 5 volt/ 2 Amp output. 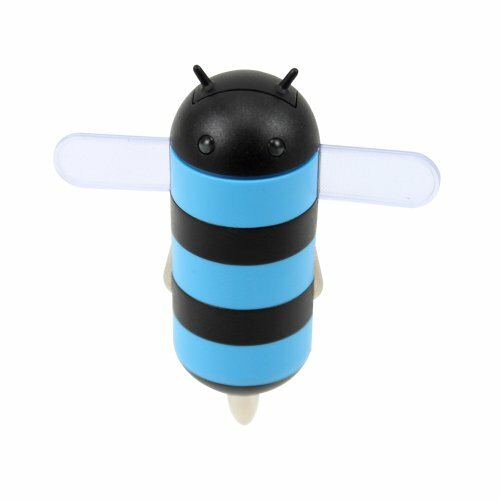 This busy bee is ready to charge your mobile devices while you are on the go! His sturdy yet flexible antenna cover a standard USB port and he comes with his own color matching coil data cable. His stinger can't hurt you but it does act as the positive contact when plugged into a vehicle's DC port. Once plugged in, HoneyDru's eyes and wings will light up to let you know he is ready to charge your device. If you have any questions about this product by GEN, contact us by completing and submitting the form below. If you are looking for a specif part number, please include it with your message.